What a place this would be to row! Azure blue water with a spectacular mountain backdrop. 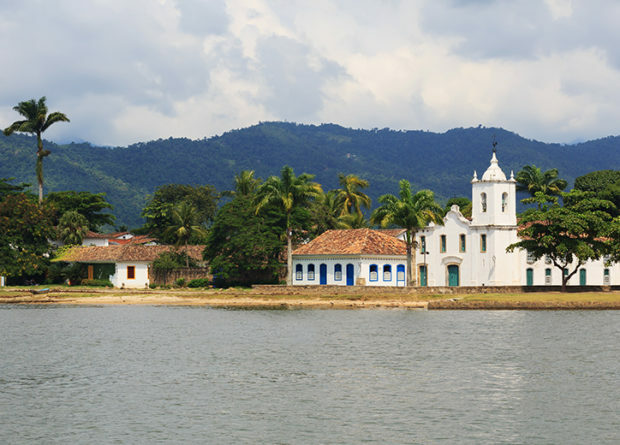 Add in a UNESCO World Heritage town, an ecological reserve, fabulous hiking, snorkeling and swimming, friendly people and you have a tropical paradise. Where no-one has rowed before. Since there are no rowing clubs in the region, we need to bring in SUP rowers, such as Oar BoardTM. We may be able to fly them in or you can bring your own plus oars – the set-up fits into a snowboard bag and you can bring it as your luggage. 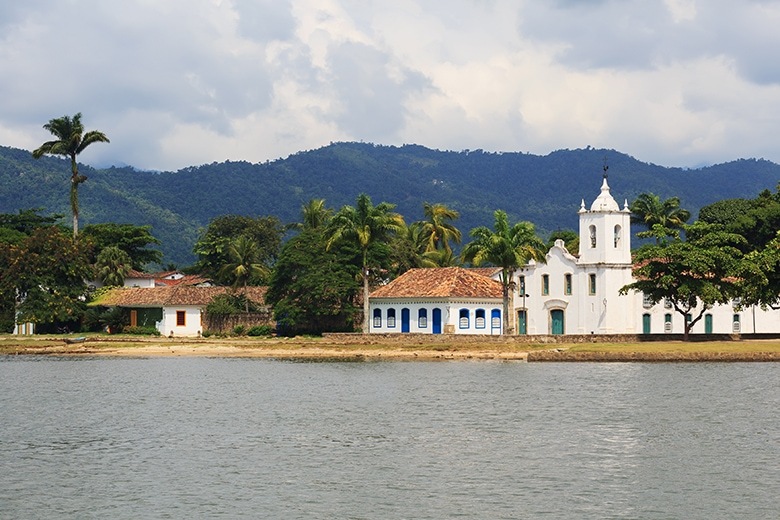 The trip would be supported by a company specializing in kayak trips in the lovely Baia da Ilha Grande. We will be rowing in sheltered bays and among islands, but since this is the edge of the Atlantic Ocean, we will be supported by guides in kayaks plus a motorized support boat that will also carry our luggage when we move accommodation. Only available upon request in 2019. We can customize for a private, group trip, or with sufficient interest could offer an open departure. Contact us to let us know that you are interested in this destination and for further details on the trip.